By 2030, the U.S. will face a shortage of up to 120,000 physicians, according to a 2018 report published by the Association of American Medical Colleges (AAMC). To help fill the gap, many of the country’s more than 270,000 licensed nurse practitioners (NPs) are opening their own practices. Pursuing an independent practice can present a variety of challenges, as well as bring substantial rewards. Ideally, NPs should have a few years of experience in the field to get comfortable and gain confidence in their role. Ohio University’s online MSN program prepares registered nurses (RNs) and other Bachelor of Science in Nursing (BSN) graduates for advanced careers as family nurse practitioners (FNPs) — many of whom will go on to open their own practice. The program provides FNPs with the knowledge and training they need to build on their expertise, as well as opportunities to grow their professional networks. Before transitioning into private practice, FNPs need to do their research and consider the logistics and potential pitfalls of owning a business. Operating a practice requires an understanding of business, including such aspects as insurance verification, billing, accounts receivable, payroll, and other financial matters. An accountant can help FNPs choose the type of company (e.g., LLC, PLLC, or S-Corp) that would best benefit their financial situation and tax structure. However, in some cases, that decision may be up to the state. A strong understanding of business can help FNPs when they write a business plan and develop their goals. A blueprint for the practice, the plan should detail service and product offerings, pricing structure, expenses, projected income, and marketing strategies. It should also establish which types of payments FNPs want to accept (e.g., Medicare/Medicaid, HMOs, fee-for-service plans). While creating their business plan, FNPs should consider whether they want to specialize. 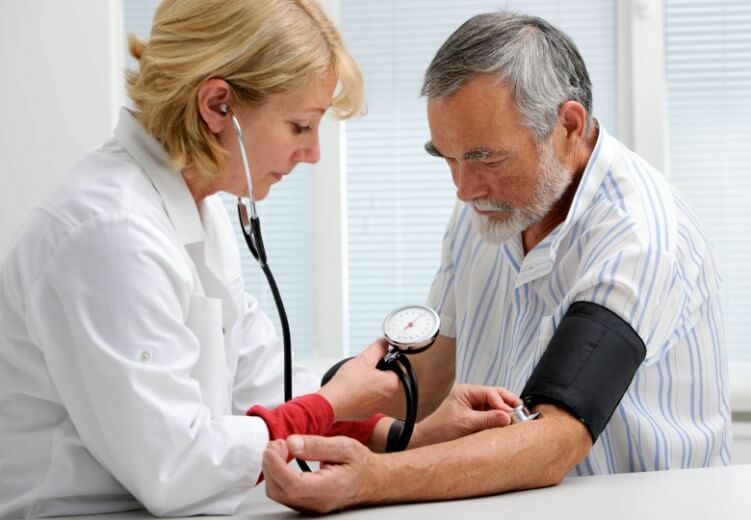 More than 70 percent of NPs practice primary care, according to the American Association of Nurse Practitioners (AANP). Choosing an underserved niche — psychiatric care, gerontology, or holistic medicine, for example — could earn them more referrals from physicians. Leasing office space, buying furniture or equipment, and hiring staff are some of the upfront expenses to expect when starting practice. To get their practice up and running, FNPs should determine how much money they will need — and where they could get it. Options range from withdrawing savings to cashing out or borrowing against investments, taking out a loan or second mortgage, using a credit card, or borrowing from family and friends. Nurse practitioners in private practice also must secure any licenses and certifications required by county, city, state, and federal laws. They also may need to obtain malpractice insurance. Working with an attorney and finding a mentor can help NPs navigate the challenges of running their own business. Before starting a nurse practitioner private practice, FNPs should know their state’s laws and carefully review its Nurse Practice Act, available through the National Council of State Boards of Nursing (NCSBN). About half of the states grant full-practice authority (also known as autonomous practice), allowing NPs to operate without supervision, management, or delegation from a physician. In those states, nurse practitioners are free to run a private practice where they can independently evaluate patients, order and interpret tests, make diagnoses, and write prescriptions. While offering complete autonomy, full-practice authority for NPs comes with full responsibility. To be successful, they must make the right decisions for their patients, company, and employees. Despite the challenges of owning a business, NPs in private practice offer their communities better access to care, especially in underserved rural or urban areas. They also get to provide the treatments they believe are in the best interest of their patients. Other states only allow reduced-practice or restricted-practice authority for nurse practitioners, which precludes an independent office. With requisite physician oversight in reduced and restricted practice, nurse practitioners may be more protected against liabilities. However, NPs are also obliged to follow their supervisor’s decisions, even when they may disagree with a treatment or prescribed medication. The good news is, whether nurse practitioners choose to work independently or under a physician, their opportunities for employment remain plentiful. From 2016 to 2026, employment of NPs is projected to grow more than 30 percent — much faster than average — according to the U.S. Bureau of Labor Statistics (BLS). The BLS also reports a median pay of more than $110,000 per year. The online MSN program at Ohio University is designed for practicing RNs who want to advance their expertise in the nursing field. Students in the Family Nurse Practitioner concentration take courses such as Primary Care of Adults and Primary Care Practice. For more information about the online MSN degree program and additional concentrations for MSN nursing careers, visit Ohio University’s website.